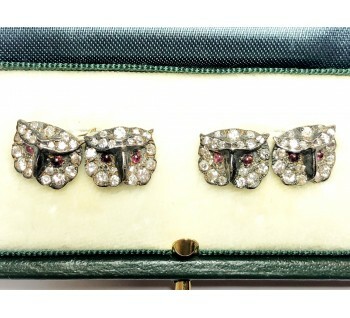 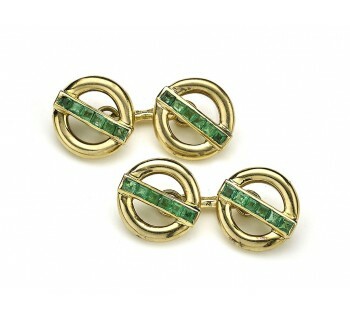 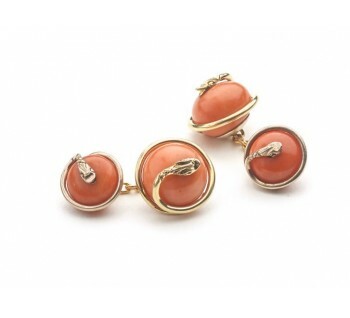 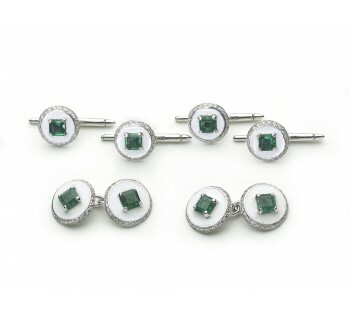 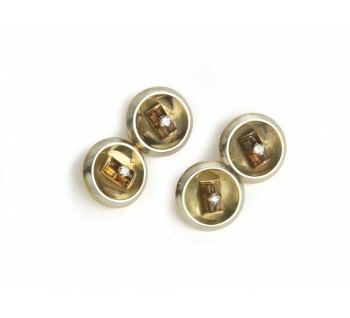 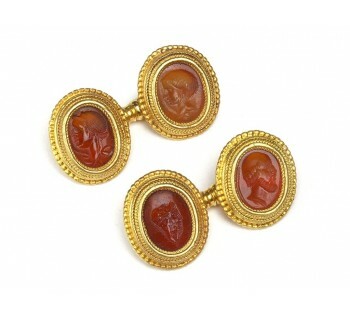 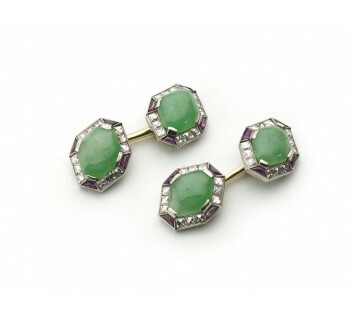 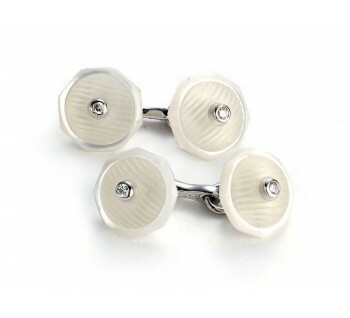 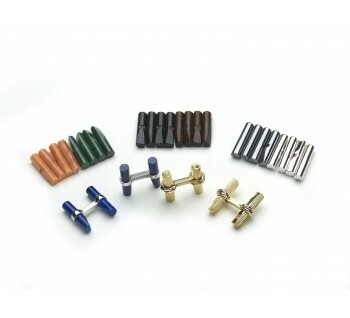 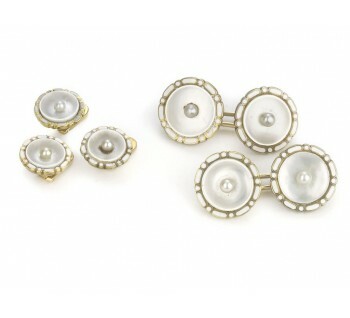 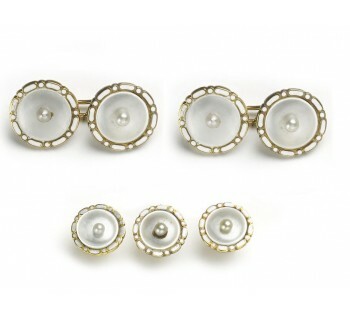 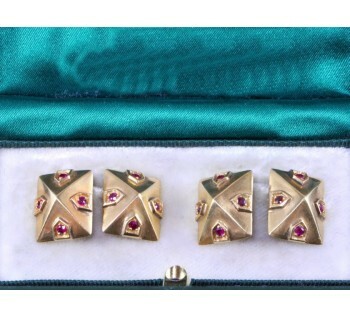 A pair of Art Deco jade, ruby and diamond cufflinks, mounted in platinum, with yellow gold fittings. 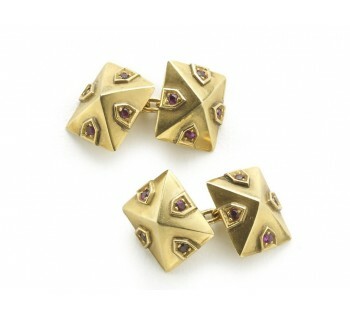 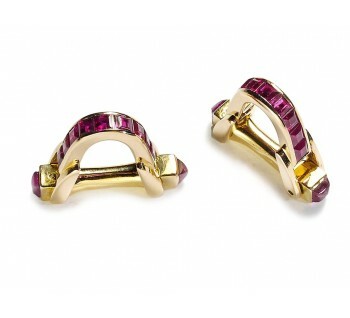 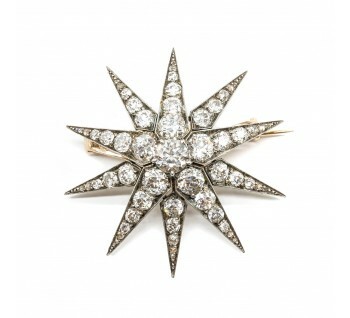 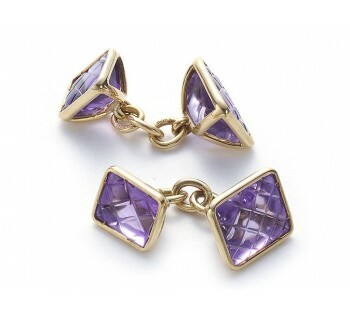 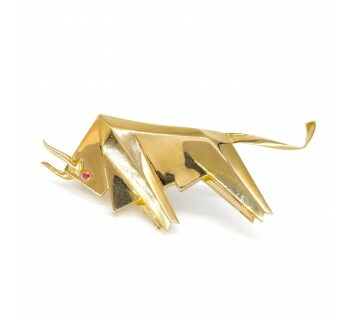 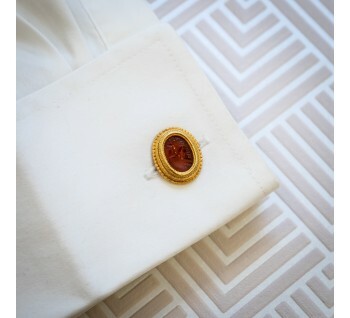 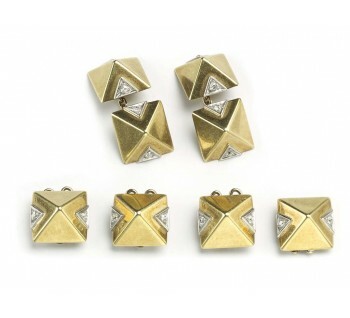 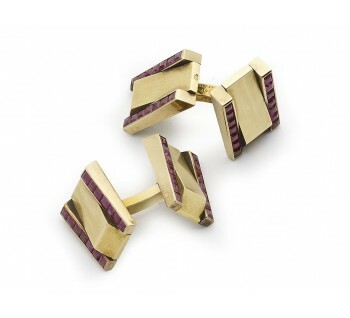 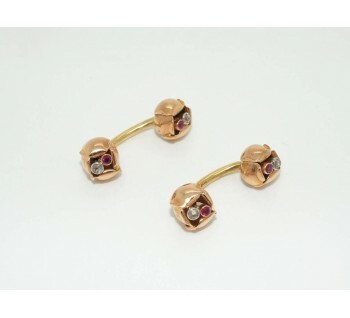 A pair of vintage, Van Cleef &amp; Arpels, gold, pyramid shaped cufflinks, set with rubies. 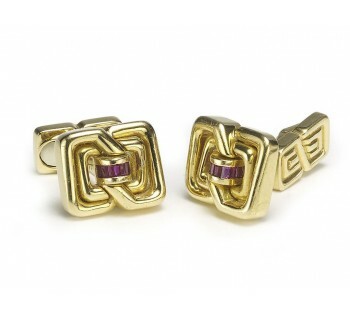 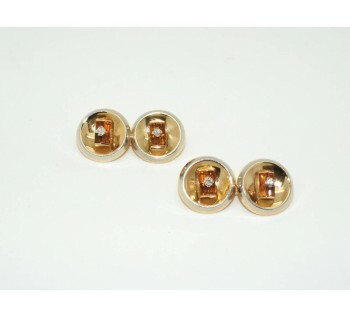 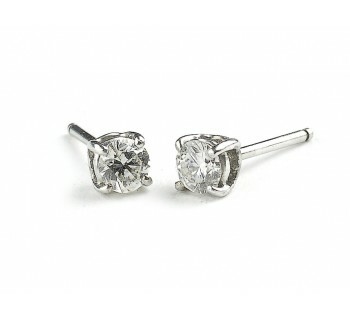 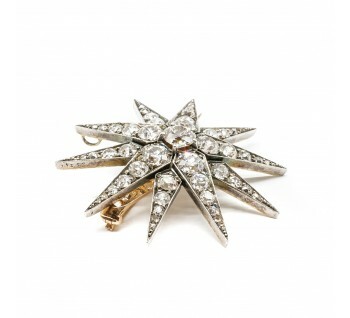 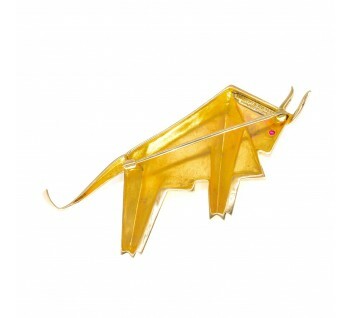 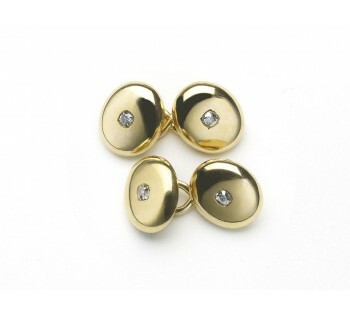 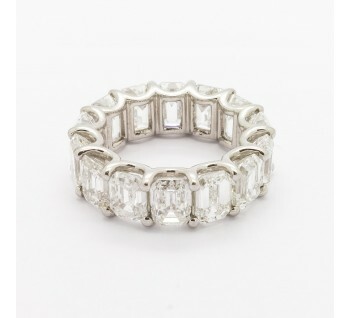 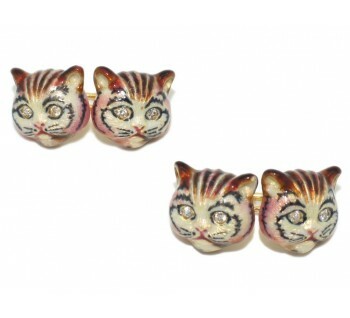 Signed VCA 18K NY. 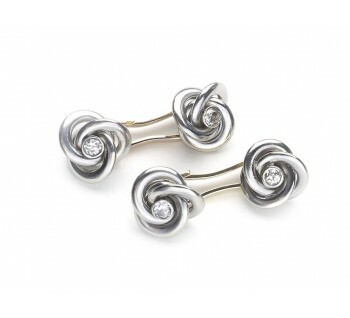 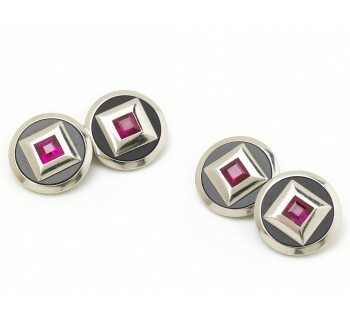 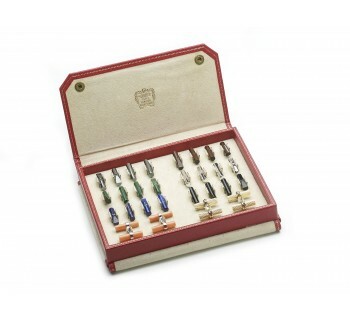 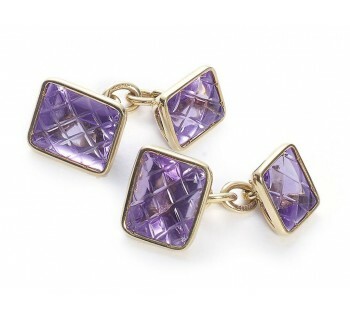 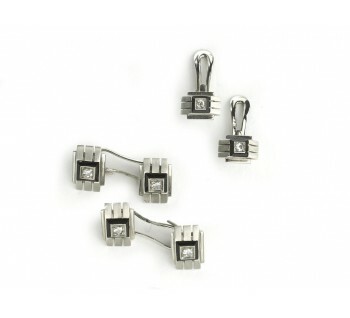 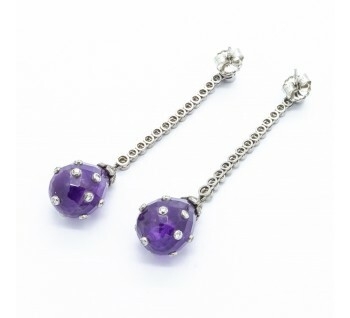 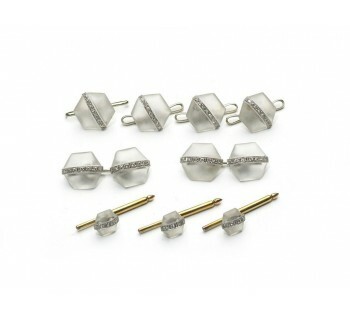 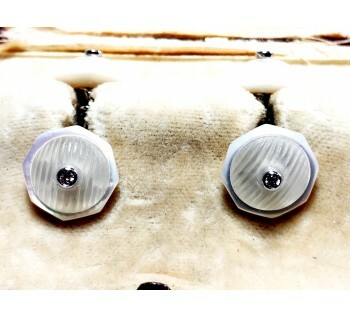 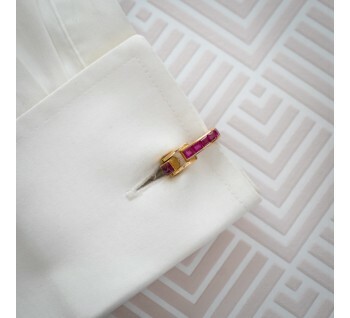 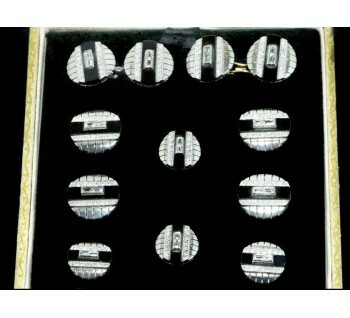 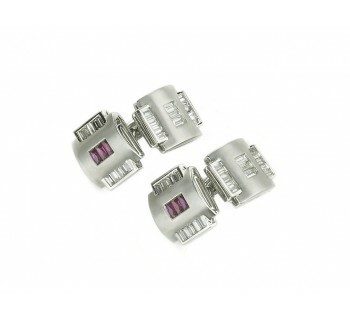 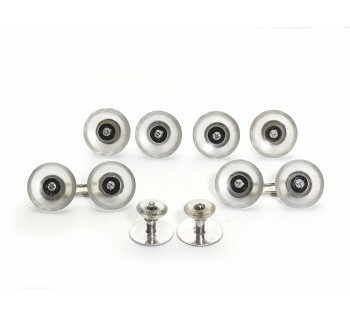 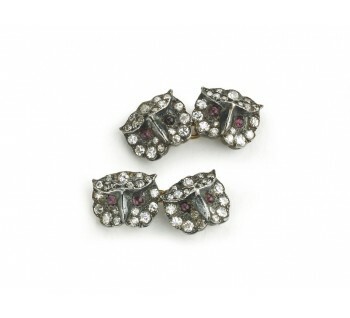 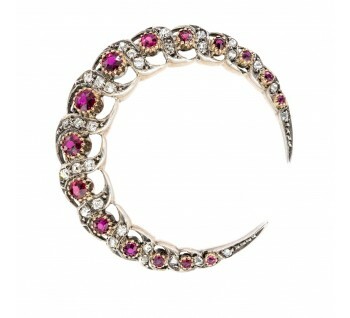 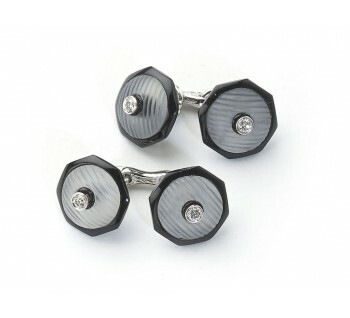 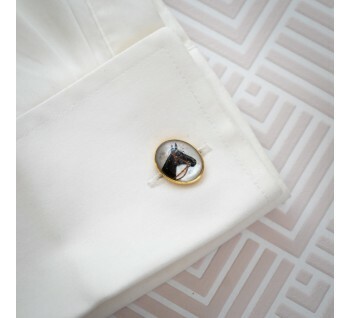 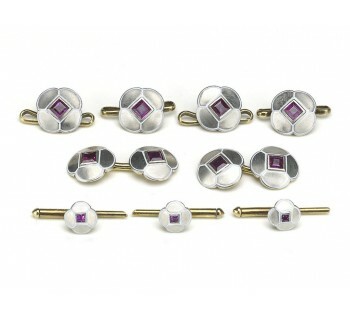 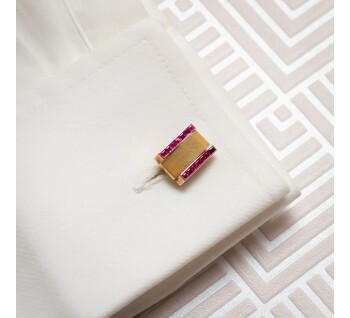 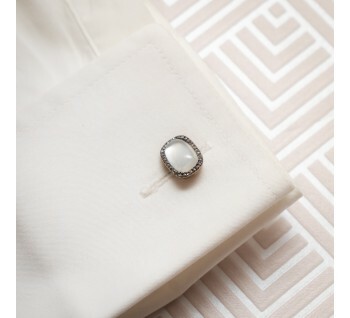 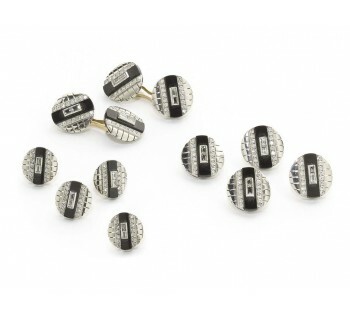 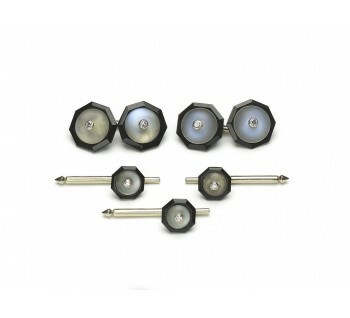 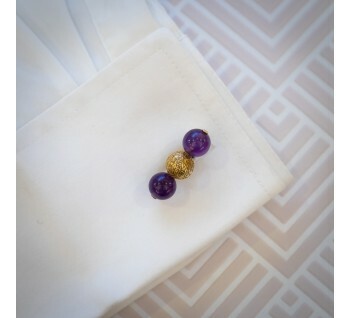 A pair of modern platinum cufflinks, with a satin finish, channel set with baguette-cut diamonds and French-cut rubies. 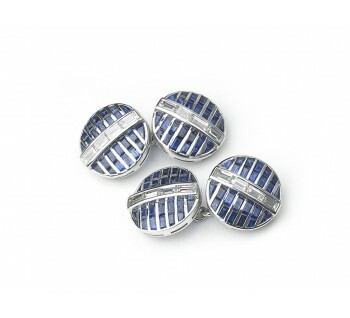 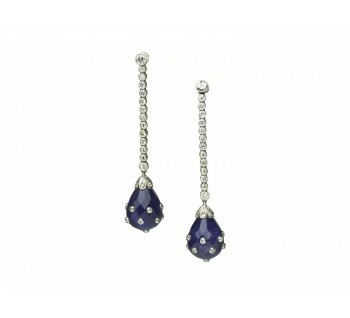 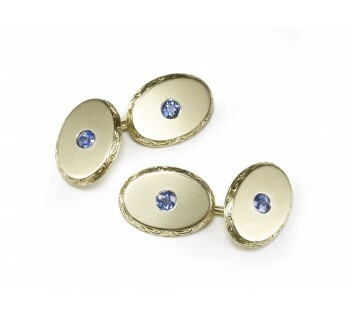 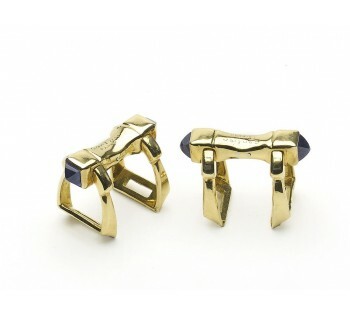 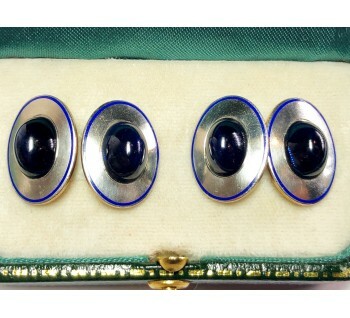 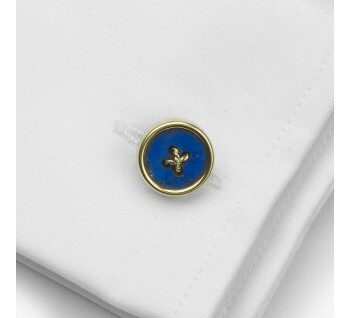 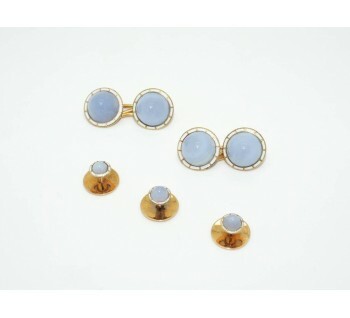 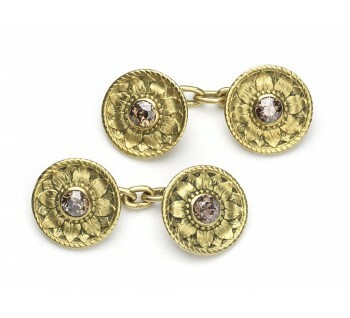 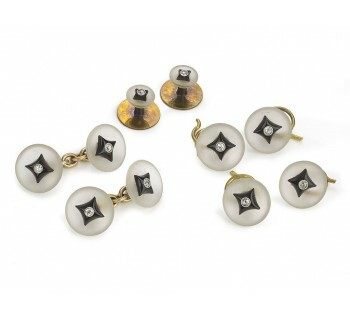 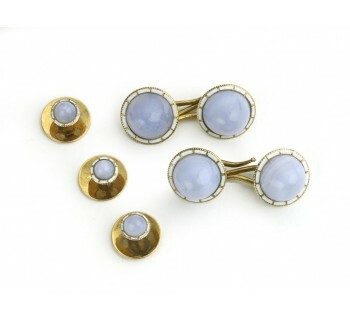 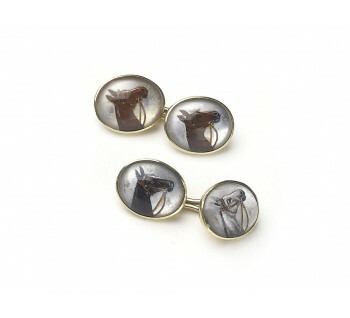 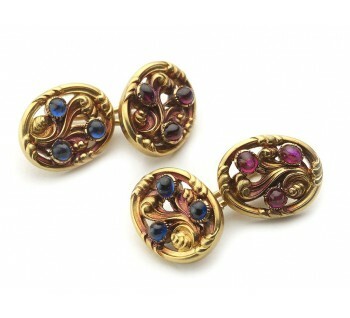 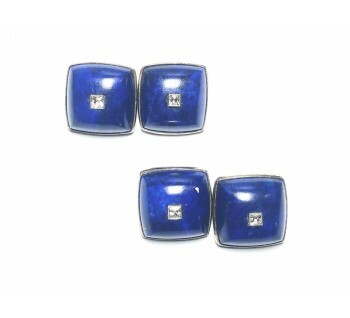 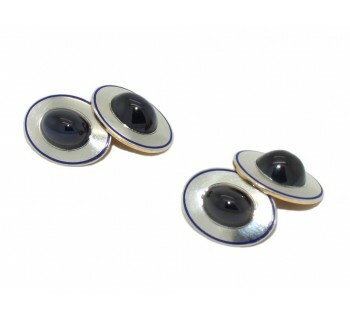 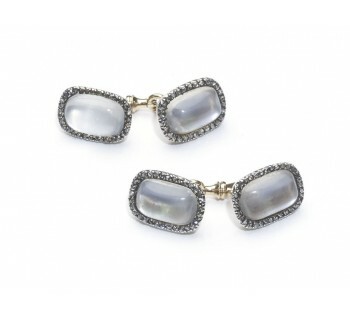 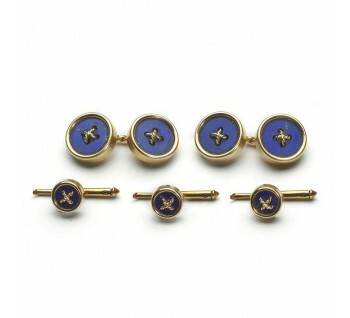 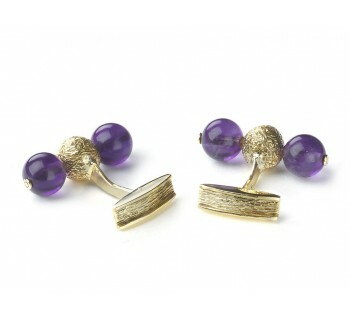 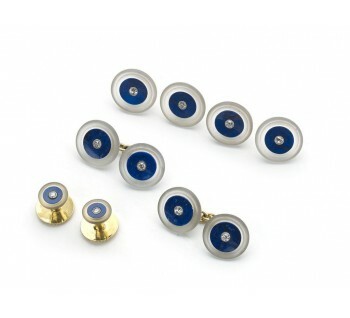 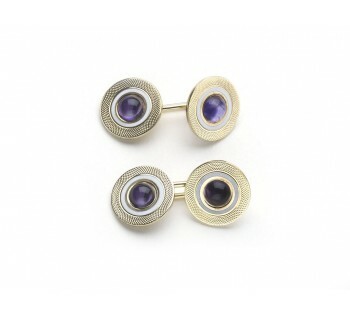 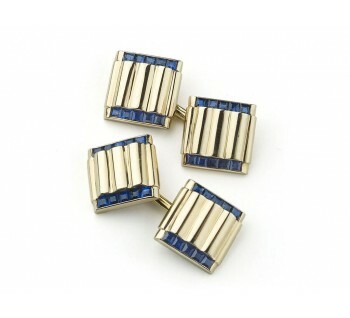 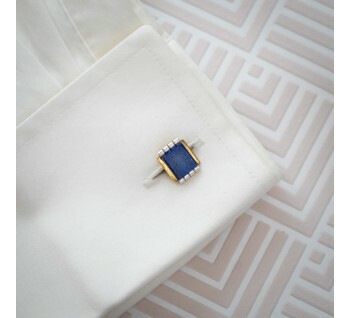 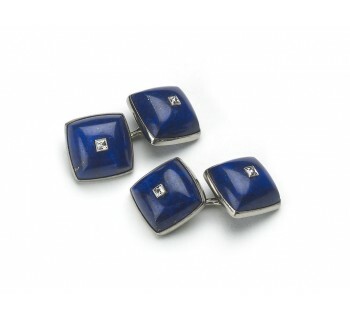 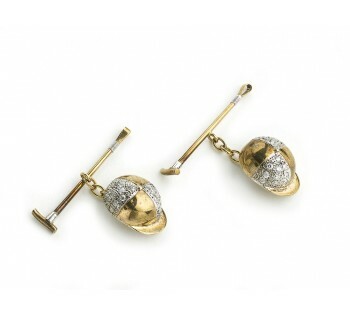 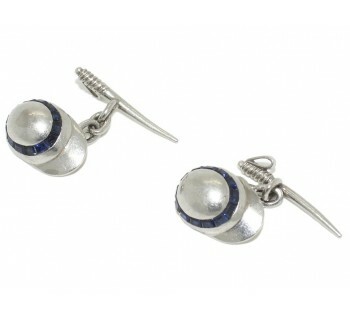 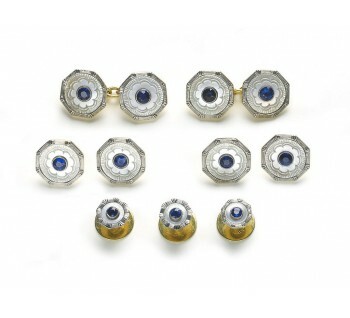 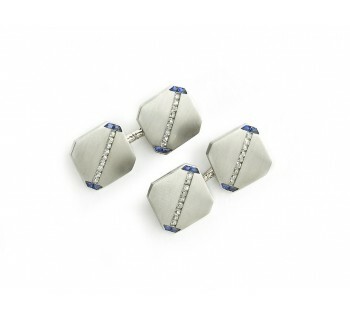 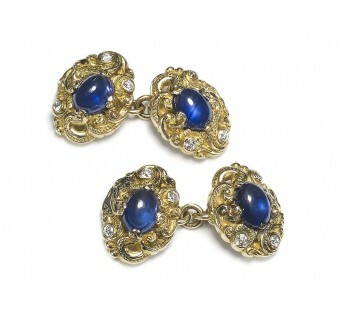 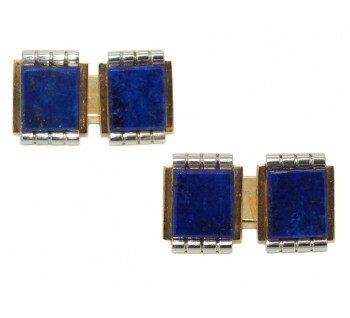 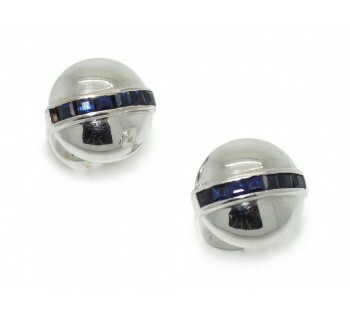 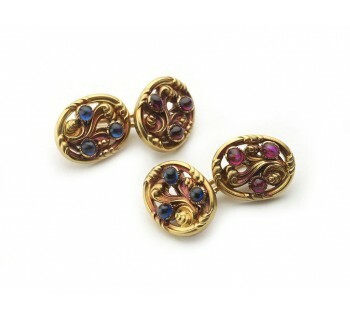 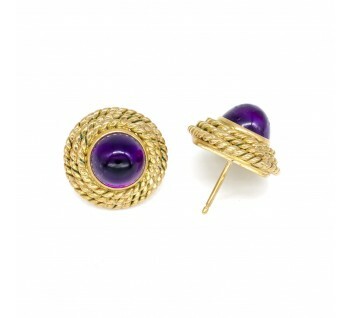 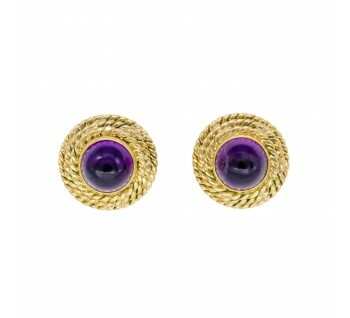 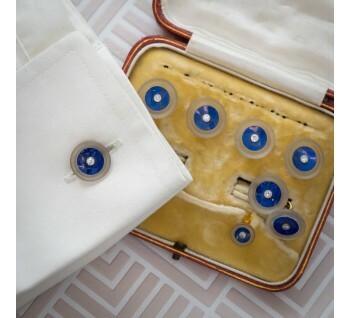 A pair of oval, cabochon sapphire and enamel cufflinks mounted in platinum and 14ct gold.